R5 is advertising 172.16.105.0/24 into BGP. 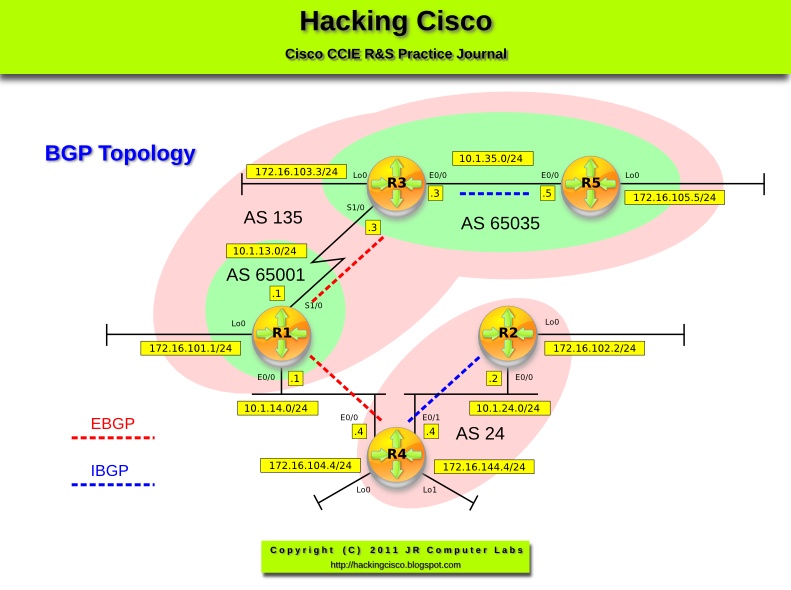 Use the BGP community so it can be propagated in AS 65035 (sub-autonomous system) and is not advertised any further. Pic. 2 - BGP Prefix on R3. The prefixes with the community 'local-as' cannot be advertised outside the AS. This includes sub-autonomous systems which are members of a confederation AS. R1 does not receive 172.16.105.0/24 like shown below. Pic. 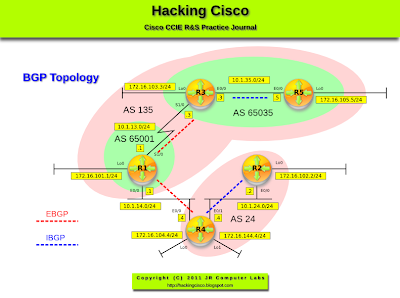 3 - BGP Table on R1.